Warning ! 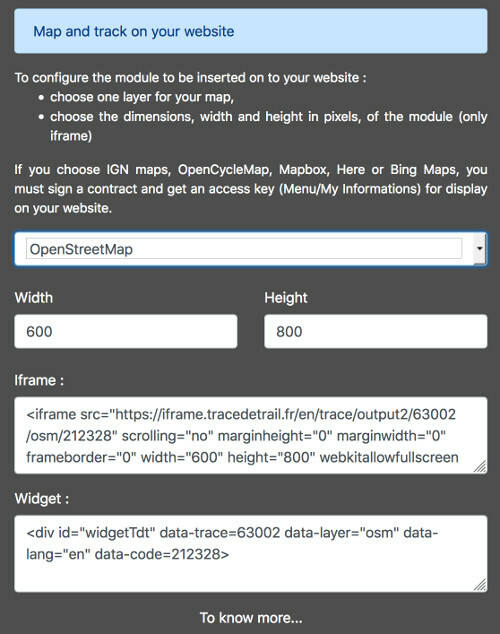 When you insert a Trace de Trail map on your website, you agree not to hide any element of the module (links to Trail Trail or Trail Connect banner). a webpage that you can use inside an iframe html tag. To get the code to insert on your website, go to the page of your track. To get this code, you must go to your track page and open the More tools block. Then choose the layer that you want to display according to the location of your track. You also need to choose the height and width of the iframe on your website. These dimensions can be easily modified in the code that you will copy. All you have to do is copy this code and paste it into the html page of your website. To use some layers, you will need an access key. To get it, go to your profile (Menu / My Info) : you will find tutorials to get these access keys. You can change the style of your track and profile from the track page and save it (More Tools / Save the style of my track) : this style will also be used for the page on your website. This option is only available to Trailer Ultra (general public) or Premium + (professional) subscribers. 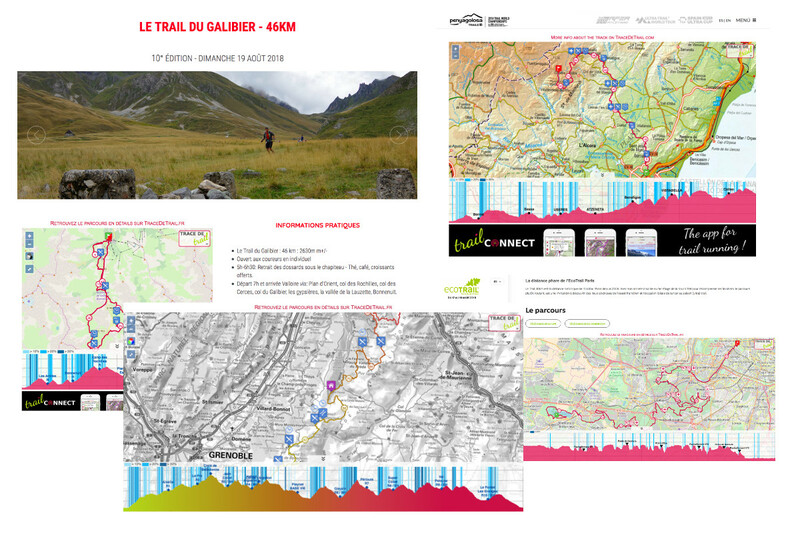 It allows you to better manage Trace de Trail map integration within your website. a tag that will contain the widget (usually a div tag) and referenced by the identifier "widgetTdt"
The div tag must contain several attributes: to get the code, the operation is the same as for the iframe. You can only insert one widget per webpage!